Well, it’s that time of year again…that feeling of endings and beginnings and my own personal need to do some serious downsizing. My policy is usually “new stuff in, old stuff out” which means that if I return from a trip with something new, something has to go. The new policy is “old stuff out, out, OUT”. Wow, how liberating. I have space again! And the spaces are not, repeat NOT to be filled again…ever. 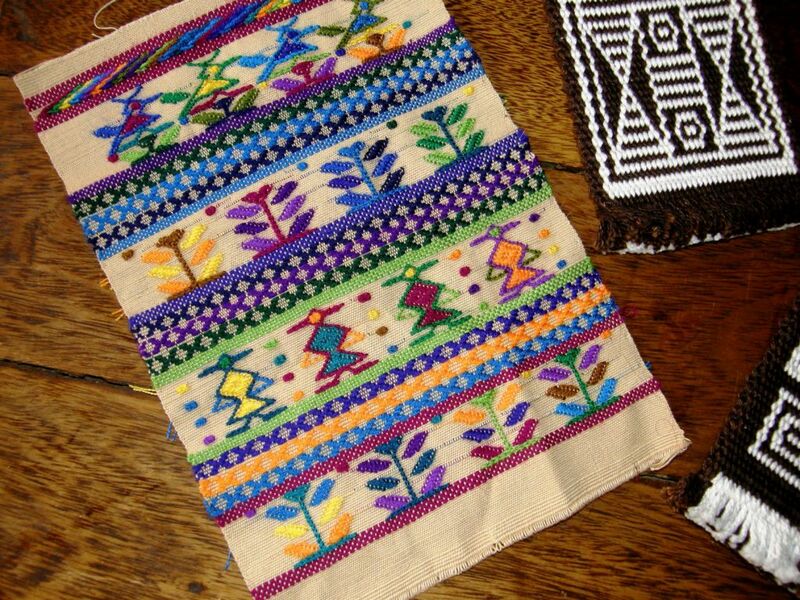 I uncovered some long forgotten stuff in the recesses of the closet like this Guatemalan sampler that I made not long after I returned from my trip there. At the time I could hardly stand looking at it. It was way over-the-top too colorful for me but the purpose had been to practice my newly learned supplementary weft patterning techniques and use the thread I had purchased from my teachers. Now I kind of like it. After looking at the red, white and black of my current projects for so long, this is so joyful, and refreshing…very summery, as I sit here in temperatures up in the high nineties and fan myself with a condor feather. (I should explain that I used to live near a condor nesting site when I lived in southern Chile and I picked up a feather or two from the base of the cliffs…something else that I have uncovered in the downsizing spree). I am without air conditioning at the moment…long story. 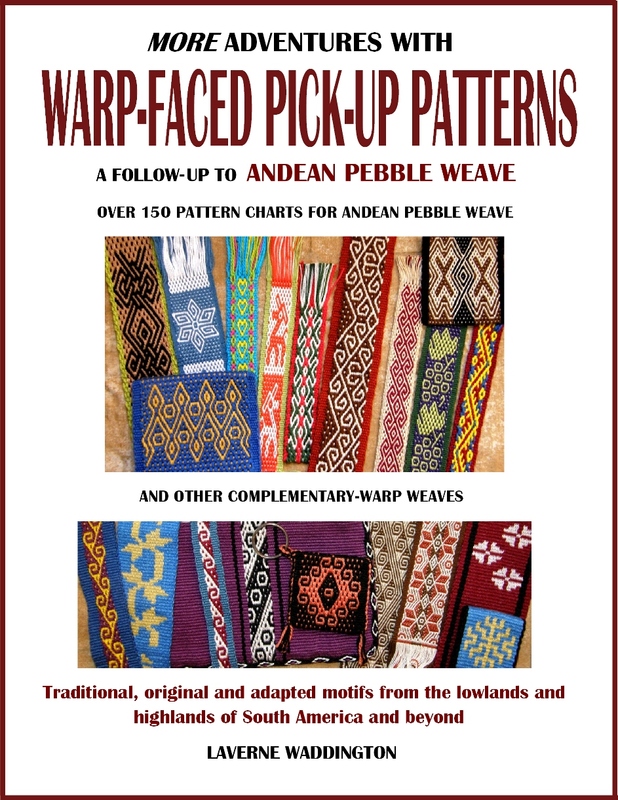 Here are some more detailed shots of the supplementary weft patterns…. The uppermost pattern technique in the next shot, above the birds, is soumak, something which I really want to explore more. All the figures, the birds, the ladies and the plants are worked on a warp-faced ground weave. Two sheds are programmed on pattern sticks under which the supplementary wefts are passed to form the motifs. This means that threads do not have to be picked or dropped each time the wefts are wrapped around warps or simply laid in to form the designs. You can see the warps that are raised in each of the two patterning sheds in the speckled brick-like design that is woven immediately above and below each row of figures. There is a tutorial here on my blog in which I show how to set up the patterning sticks and then use them to create these kinds of motifs. 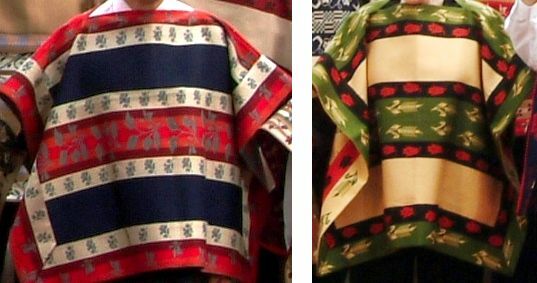 The three rows of “X” design are temporarily programmed on two additional pattern sticks which are then removed so that the other motifs can be woven. So, back to the present and my current project…the chamanto inspired wall hanging. 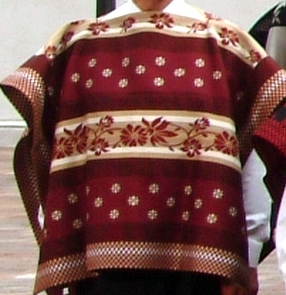 My piece won’t look anything like the gorgeous Chilean ponchos, not even a miniature version of one. I have just taken the idea of the big, bold solid motifs that speak of the rich, green, temperate central Chilean valleys and vineyards. 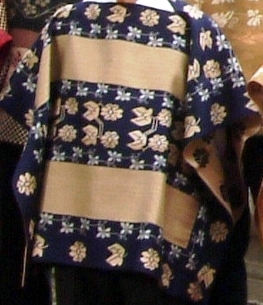 I was lucky this week to find the official APEC site which invites one to download a high resolution image of all the leaders attending the 2004 conference in their beautiful ponchos. This has enabled me to cut to just the chamantos and get quite a nice view of the pattern layouts and color combinations. It’s like my mind was read! 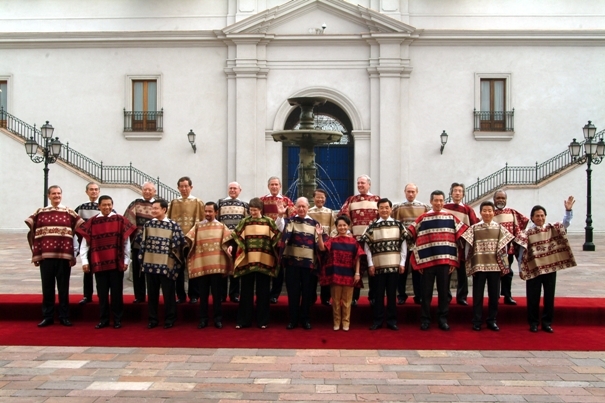 Just last week I was saying how I would love to see all the ponchos at the APEC meeting up close. This is to be one of a series of wall hangings all in the same color combination but I have a feeling that this one will be the sampler as I have had thoughts about the layout and size since starting it and would like to change quite a few things….or maybe not! 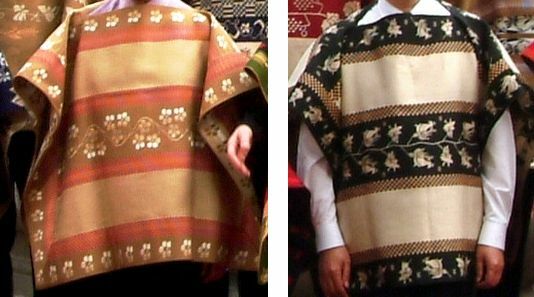 I hope to weave a patterned band and sew it to the four edges so that the construction resembles that of the Chilean poncho. As for the nylon string heddles that I mentioned last week…I made them, used them and hated them….took them off and made cotton ones…what can I say? This lovely tapestry hanger was given to me by its maker at Convergence last year and it will give me a very nice way to hang my Starry Night piece once I have that completely finished…I am still pondering that fringe. 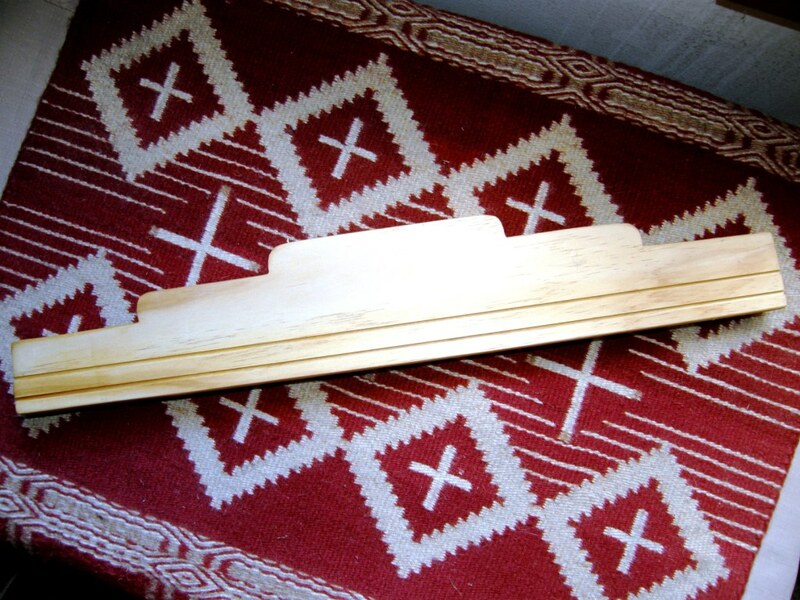 The hanger works by clamping the top edge of the woven piece between two pieces of wood. Justin Adams makes them in various lengths in his home in New Mexico. He doesn’t have a website that I know of and you can contact me for his phone number if you would like to know more about his work. The hanger is posed on a Navajo-style weaving that I did many many years ago dyeing and using up as best I could all my left over odds and ends of Navajo wool. There’s that red again. I started it with a twill saddle blanket weave until I realized I didn’t have enough yarn in the three colors to complete it. So, I wove the top and bottom in the saddle blanket structure and filled in the center in plain weave. Well I am still messing about with weaving nice curved figures in warp-faced double weave but don’t have anything worth showing design-wise this week. However, I have a nice tip to give you for how to get really nice edges in this double weave technique. In the picture below you will see one of my double weave mug rugs made with a 12wpi cotton. 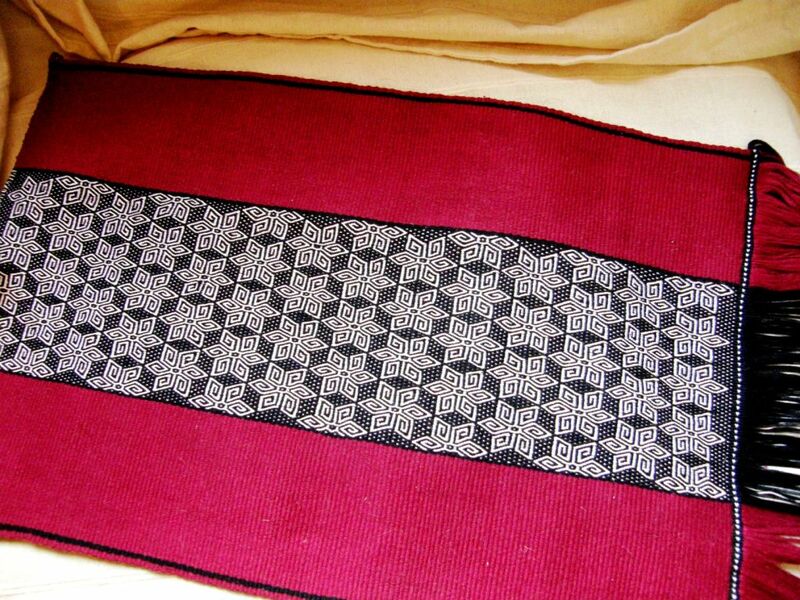 The edges are pretty good but you can see how the weft is exposed on the sides as it travels from the upper layer to the lower layer of the double weave. I have inserted a toothpick under a couple of the wefts to make this clearer. This is very exaggerated with this heavy yarn. While this doesn’t look bad and the edges are still neat, I have found that when working with finer yarn, the edge warps tend to want to “roll off” the edge along with the weft as it travels the distance from the upper to lower layer and this can give the edge a bumpy look. 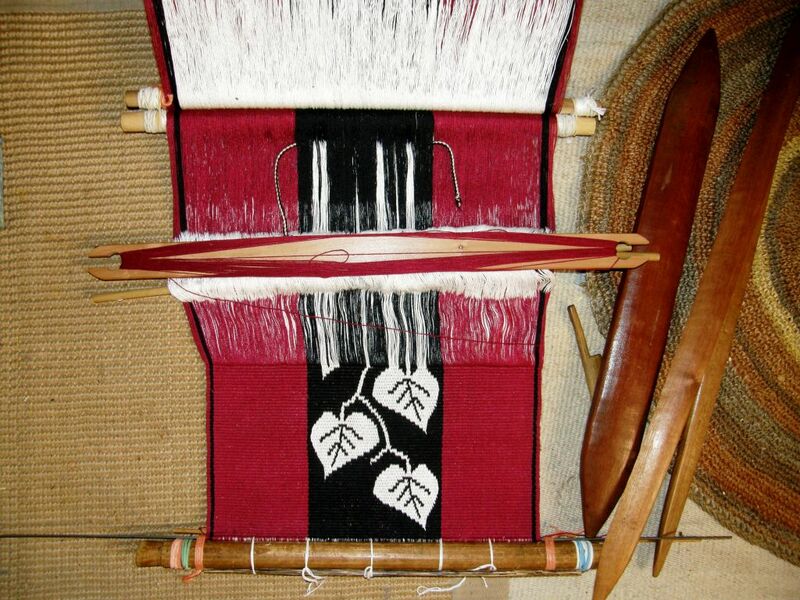 My weaving teachers here did not show me any other way to do this and it was frustrating looking at other double woven pieces from here and seeing beautifully even and rounded edges and not knowing how they had been created. In the end I had to cut and pull apart a belt I have. 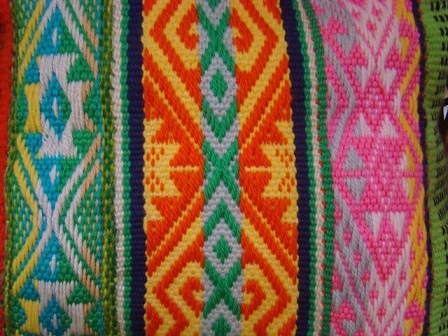 The Bolivian double weave belts above left have smooth two-color rounded edges. My camera strap, on the other hand, has slightly bumpy edges as some of the edge warps are pulled out of alignment by the weft as it turns down to weave the lower layer. 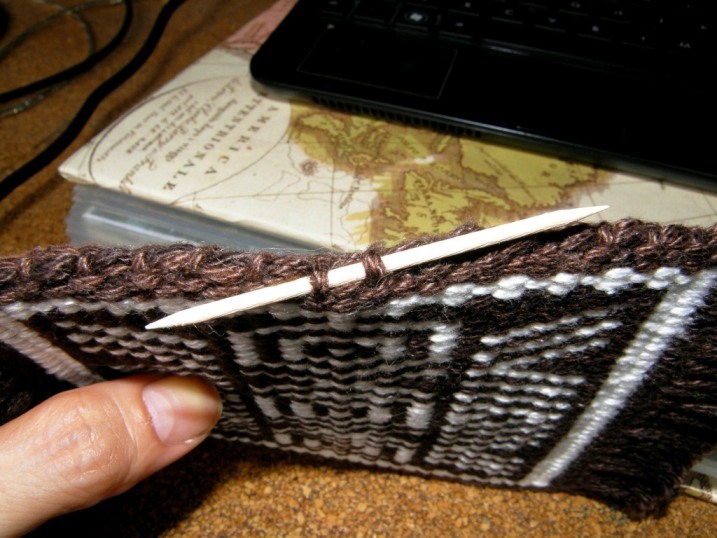 So, here is what I believe is the secret: If you have read or worked your way through my double weave tutorial you will know that both borders and pattern area are warped with doubled threads. 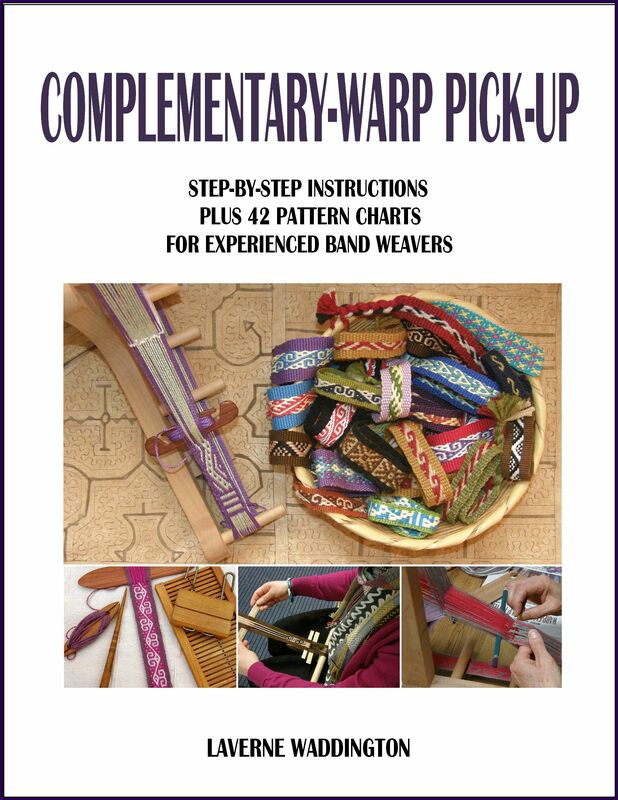 If you start and finish your warping with two revolutions of single threads in your border color, you will create a rounded edge and the gap between upper and lower layers will be beautifully bridged. (Two revolutions give a more rounded edge, one revolution also works well and gives a flatter edge with a little bit of exposed weft but it’s enough to keep the edge warps in check. The method you choose will depend on the appearance you prefer). Pictures next week! I am working on samples now so that I can show you how these two options look next week and will add all this new information to the tutorial page. 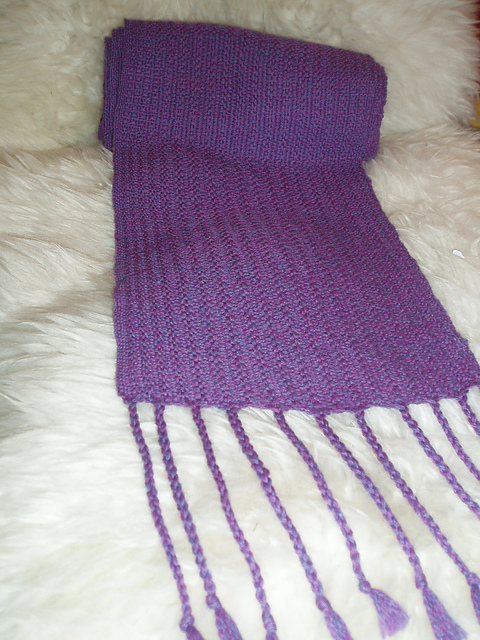 Heidai has been making scarves using the set-up known as grindvev in her native Norwegian. There she has a wooden rigid heddle on her backstrap loom and there is even an extra wooden piece that serves to raise certain warps according to the structure she has chosen to weave. What a neat little collection of pieces! So, we have agreed to add “weave a scarf using a rigid heddle on your backstrap loom” as part of the new year’s weave-along activity. 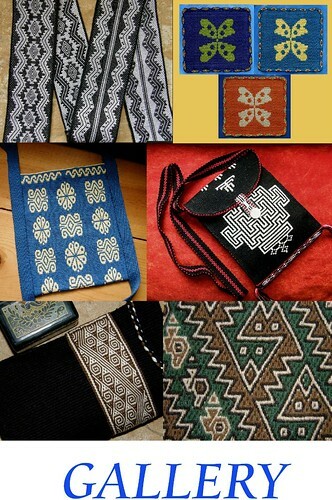 We don’t have an official start date yet which will gives us time to put some thought into the ikat and other project proposals we have been discussing. I could probably do with a scarf or two if I am to make more fall visits to the US. 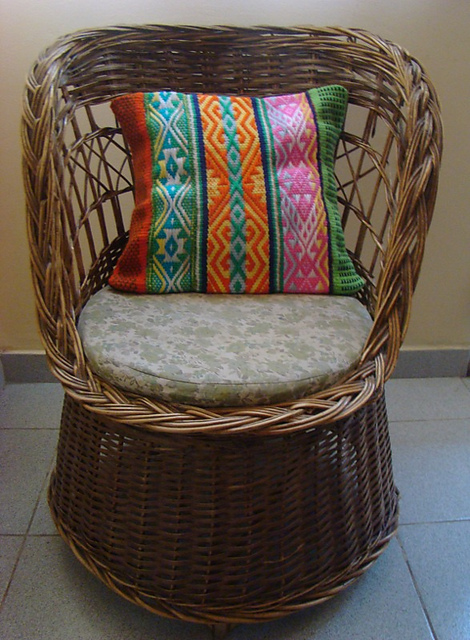 Down in the summery southern hemisphere, Luchita in Argentina showed us the gorgeous pillow cover she made by sewing together three bands she had woven with Mapuche inspired patterns using supplementary warps. I love this! I can’t think of a better way to finish this post…as it started…with uplifting, vibrant, exciting colors inspiring strong positive thoughts and wishes for you all for the coming new year. Happy New Year to you all and thank you for all your support! 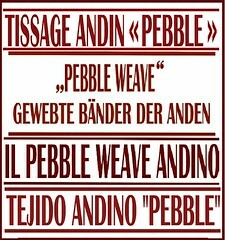 This post really speaks to me and the weavings are so great! Can we see the back of your new wall hanging sometime? You ask all the right questions, Jennifer! Next week I will show you. After seeing your the Grindvev picture I’ve finally figured out how to use the “extra wooden piece” that’s been in my collection of weaving items for many years!! I wonder if it has a name. 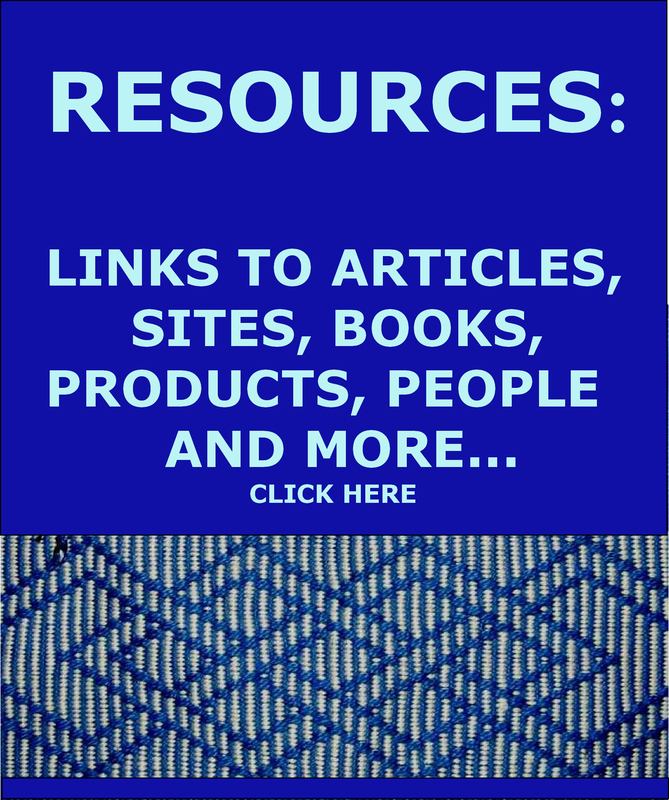 Thanks so much for you weekly blog…you are my inspiration!! Yes, we must find a Norwegian name for that little wooden piece. Maybe I will post it in Weavolution and see what comes up. 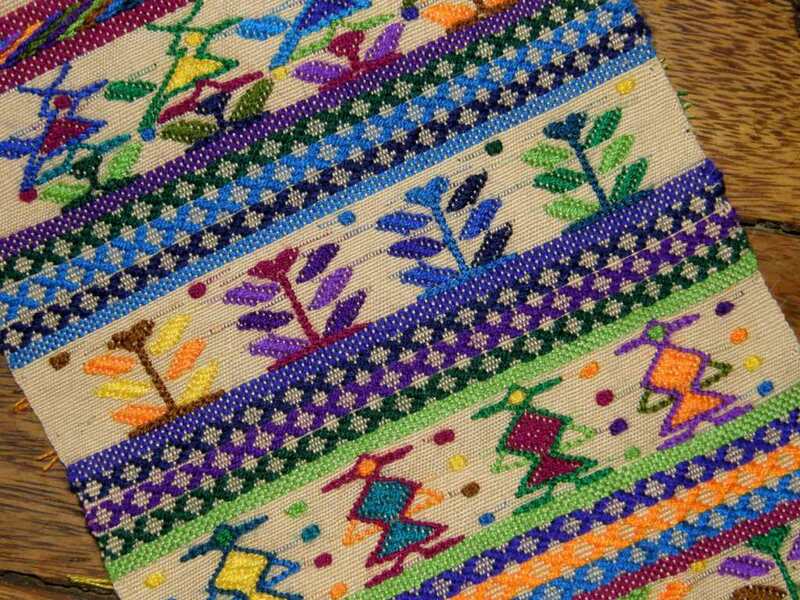 I’m in love with the Guatamalan sampler–those are totally my colors. I’m also taken by the lovely patterns. Finally a piece I not only admire (as I do all of the pieces you show us) but finally a piece I am so enamoured of I’d actually like to make it. My weaving skills are nowhere near being able to handle trying yet, but oh what a piece to inspire, admire and to aspire to! Hi Eliza. I am so pleased with your reaction to my little Guatemalan piece. The poor thing sat neglected in the closet for so long. I am going to try and make it into something. A very happy new year to you. Happy new year Laverne! very best wishes for you. ¡Que orgullo ver mi almohadón en tu blog! ¡Me alegra mucho que te haya gustado! El verano es para mi la mejor estación para preparar el telar, ya que cuento con más tiempo libre. 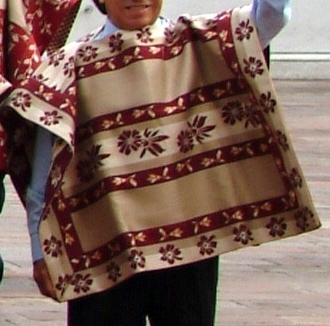 Como siempre, tus tejidos son fabulosos.